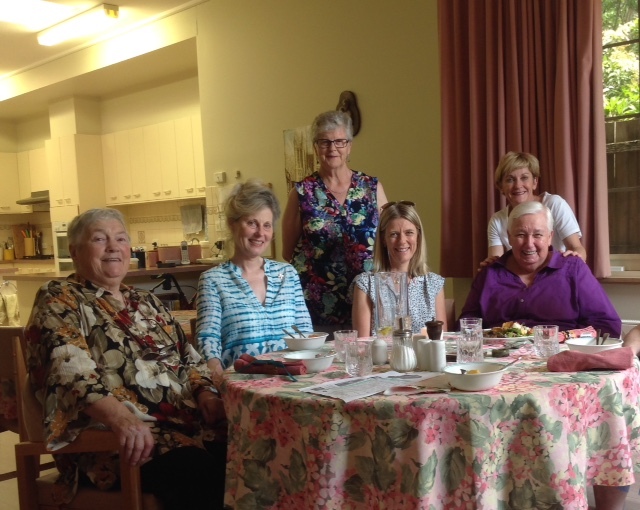 Since the International Day for the Elimination of Violence Against Women on 25 November, whenever the small community of retired Brigidine Sisters at Malvern meet together for their midday meal, they make this their time to participate in the 16 Days of Activism Against Gender Violence. Before their meal, they light a candle, pause and remember some of the women and girls suffering a form of violence in the world today. Visitors, carers or colleagues in ministry present on any particular day are invited to join with the Brigidine Sisters in this action and moment of prayer. In particular, the Sisters link with ACRATH (Australian Catholic Religious Against Trafficking in Humans) during the campaign, aware that trafficking and forced labour are two of the extreme forms of violence committed against millions of vulnerable women and girls in our time. The 16 Days Campaign Against Gender Violence runs through to December 10, which is the UN Human Rights Day. Brigidine Sisters with a number of their visitors, carers and colleagues in ministry pause to remember and pray for some of the most vulnerable women and girls subjected to violence in our world today.